Long before I knew you could make Beef Stew from scratch, there was Dinty Moore. Beef, Gravy, Potatoes, Carrots…..and some other stuffs. 🙂 I’ve had this recipe since back in the AOL days and it has become my favorite. Thanks so much for agreeing to participate in the 2014 Cover to Cover Project: Holiday Cookies! We’re thrilled to have you join us in this little baking adventure. Granddaughter Alice is an oatmeal lover….just like me! She likes to help me on a Saturday morning make a pot of oatmeal while we talk about what we are going to do that day. I always ask her what she wants to add to her bowl and the answer is always the same…pecans, apples and cranberries. My Slice and Bake Oatmeal Cookies are almost like a warm bowl of Oatmeal on a Saturday Morning…..comfortable and delicious. She was my inspiration for these cookies I baked for the Dixie Crystals Pre-Conference Baking Contest. I’ll be attending the Mixed food blogger conference soon and I can’t wait! There is a prize available but I’m after the Lifetime of Bragging Rights if I win! As in ALL cooking, Ingredients are the most important thing. I try and find the Best ingredients I can for all my cooking and baking. I like King Arthur Flour and Dixie Crystals Sugar and local eggs and apples picked from the tree and local nuts. 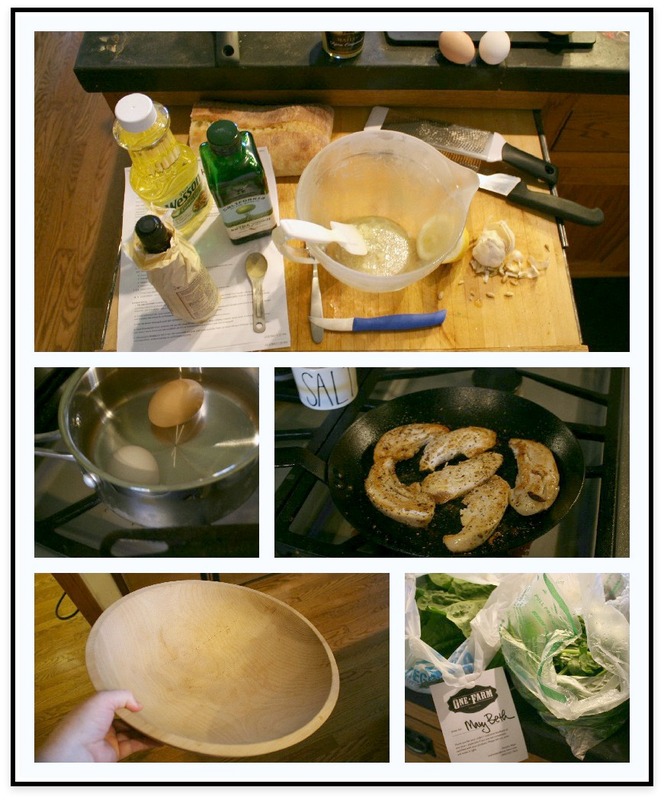 I use the best ingredients I can find including King Arthur flour and Natural Oatmeal. Hand chopping pecans give them the best texture for cookies. I keep my Baking Supplies in small jars. They make me happy! My farm eggs are from my friend who delivers them every week. Megan and Alice picked apples this past weekend so our shredded apple was crisp and fresh. These pecans are from Missouri. My refrigerator ALWAYS has some cookie dough for instant cookie cravings! Slice as many cookies as you want and refrigerate the rest for later. The best way to have fresh cookies all the time is to have a log of Slice and Bake Oatmeal Cookie Dough in your refrigerator! These cookies are usually crisp, but the addition of apples makes them soft and chewy. I would not hesitate to use them as a breakfast on the go or a hi-protein afternoon snack with the addition of more nuts. It is just SMART to have Slice and Bake cookie dough in your refrigerator and it is easy to do. If you are a blogger, you might want to consider attending the Mixed Conference November 7-9, 2014. I’m SO looking forward to it! My Slice and Bake Oatmeal Cookies are almost like a warm bowl of Oatmeal on a Saturday Morning.....comfortable and delicious. Mix Butter and Sugars in a mixer until blended. Add Egg, Vanilla, Baking Soda, Baking Powder, Cinnamon and Salt. Mix again. Stir in Flour and Oatmeal. Transfer Cookie Dough to a large sheet of parchment paper, making a log shape, and securely wrap up and put in the refrigerator until firm (probably 12 hours). Slice and place on a Silpat lined Baking Sheet. Bake at 350* for 9-11 minutes. Cool slightly on the pan and then move to a wire rack. Feel free to add and subtract flavorings as you want. We also like this cookie with 1/2 cup of raisins or dried fruit. Almonds or walnuts are also delicious in this cookie. If the cookie dough seems too sticky, add a little more flour or oatmeal. Humidity, the brand of flour, and the juiciness of the apple all affect the dough. A log of this dough with some directions make a great gift! I buy a LOT of fruit…..especially when Alice comes to GrammaCamp. That girl can eat a whole container of raspberries! 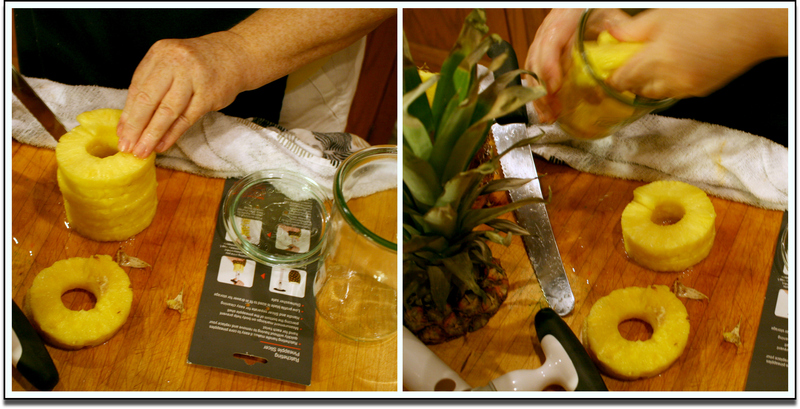 She loves every fruit, and I try to get Fresh whenever possible……instead of canned, which is fine, too. 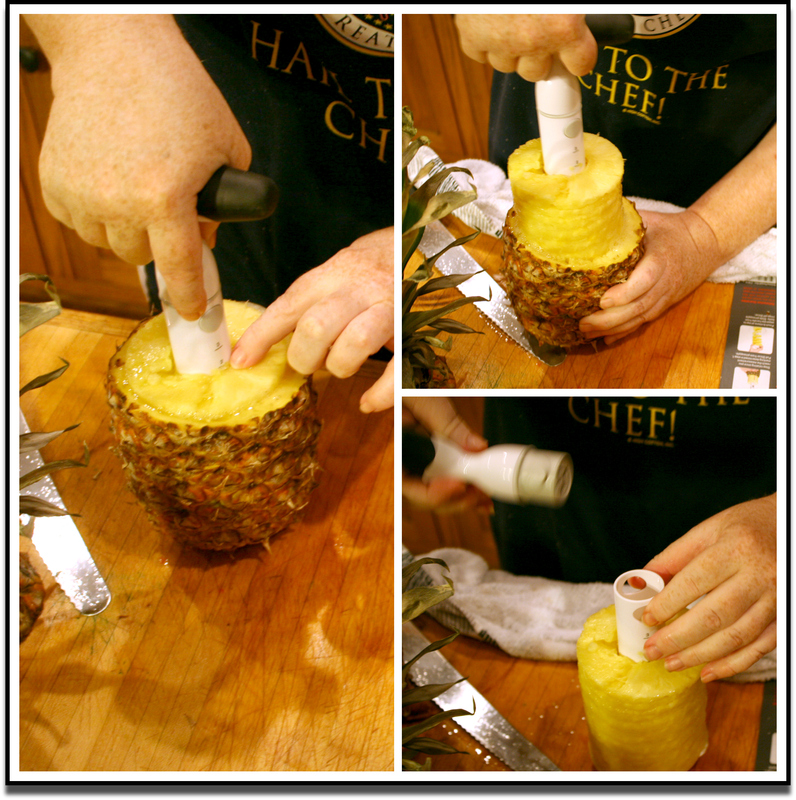 Buying a cut-up Fresh Pineapple at Hy-Vee is convenient, but expensive. So I buy a fresh one, at half the price, and butcher it myself at home. 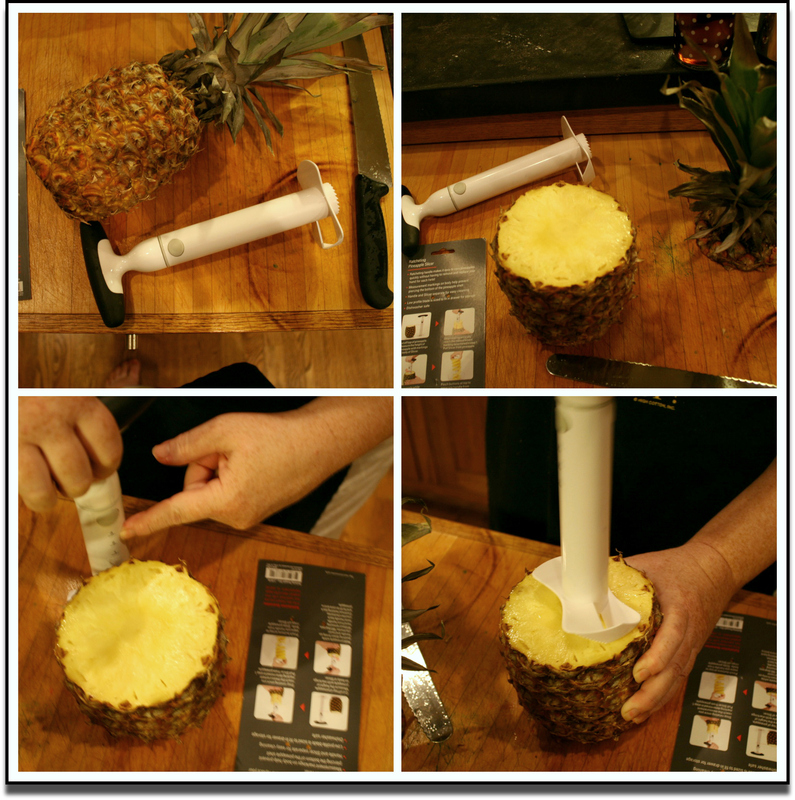 I’ll be getting more pineapple and using this tool. Next time, I will cut the pineapple and put it back in the “pineapple shell” for Alice. This time, I stored the slices in one of my Weck Jars. It fit Perfectly. Love storing things in Glass. 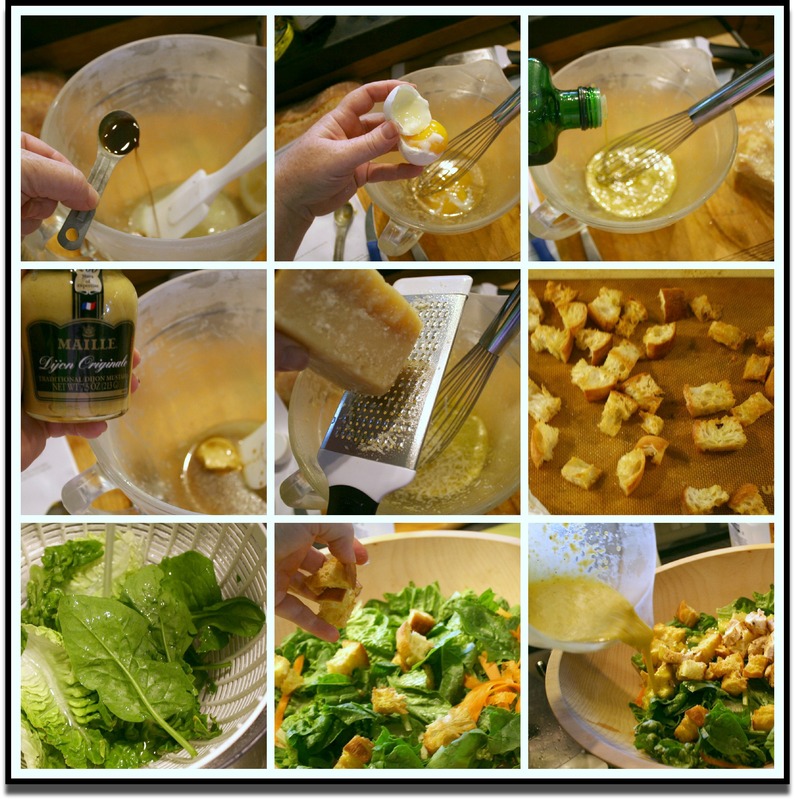 I based my Caesar Salad Dressing on my trusty Cooks Illustrated site, but I didn’t use all the same ingredients. I did not have any anchovy fillets, but I would use them if I had them. 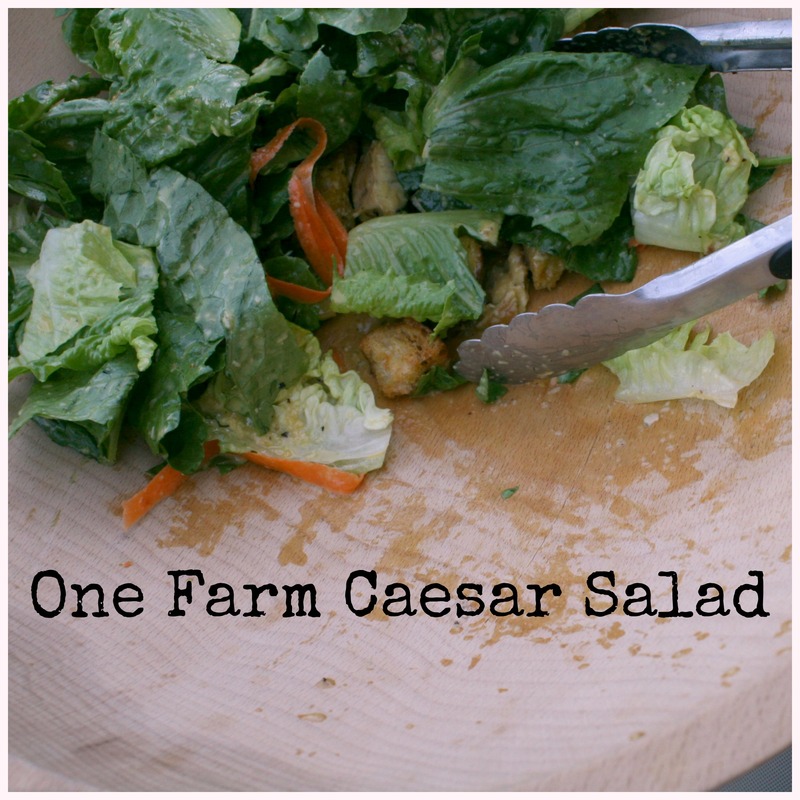 There are many tips, tricks and hints about this salad, so go read it if you can. It takes some Prep to make a salad! I worked on this one for maybe an hour. I added sauteed chicken tenders, which isn’t always included. I also boiled the eggs for 1 minute to give them extra creaminess in the dressing. I love using my super duper big Salad Bowl. I used 1 t. Grated Garlic and let it sit for 15 minutes in the juice of 1/2 a lemon. Added 1 t. Worchestershire sauce, 2 coddled egg yolks, 6 t. Olive Oil & 4 t. Canola Oil, a Dollop of Dijon Mustard, and some Grated Parmesan. I made the Croutons out of Take-N-Bake Ciabatta Bread and some olive oil. I baked them til browned and crunchy. I used 2 kinds of Romaine lettuce and some spinach. 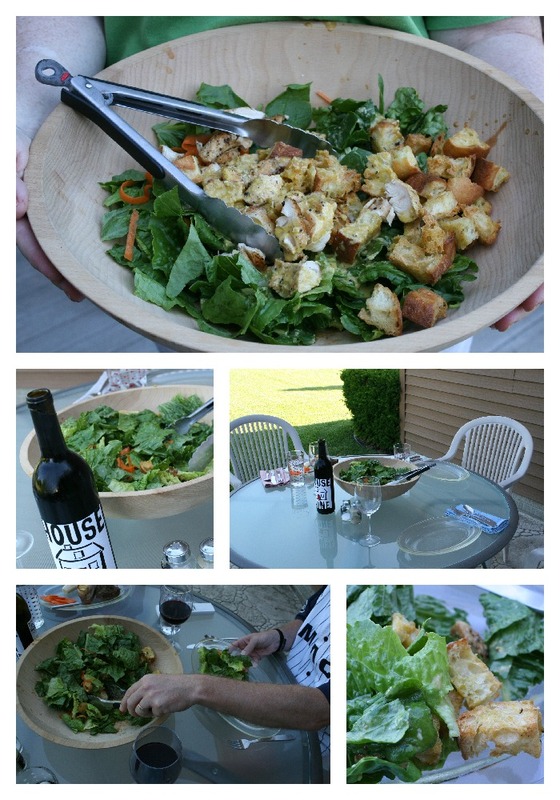 Then, assembled the salad! It was good, fresh, crunchy and satisfying. I’ll make it again, using another recipe. But I’ll always use homemade croutons.